Fossil fuels are resources that develop from the fossilized remains of organic matter that is subjected to specific levels of heat and pressure over time. There are three basic fossil fuels that we currently use right now: coal, petroleum, and natural gas. Fossil fuels are combined into one generic category, though they are very different from one another. It could take coal, for example, several million years to develop as ancient vegetation is altered through heat and pressure. Petroleum, however, forms through a combination of various hydrocarbons. All of us consume fossil fuels every day. We wouldn’t have many of the things we use, from computers to sandwich bags, without the help of fossil fuels. At the same time, fossil fuels are, by definition, something that will run out one day if we continue to use them. When that day will be, we do not know. Here are some of the biggest advantages and disadvantages of fossil fuels to help take a closer look at this important issue. 1. There are numerous systems in place to process and utilize these fuels. Our current infrastructure is designed to consume fossil fuels for our various needs. Even when we are producing renewable energies, the power is generated from products that were created because of fossil fuel technologies. That has led us into a world where we have “good” consumption and “bad” consumption concepts. If we can create a net improvement in our environment by consuming fossil fuels today, then it is a “good” use of the resource. If we were to transition completely to sustainable energies right now, we would be unable to meet our current energy demands. At this moment, fossil fuels still comprise 80% of our current global primary energy demands. 2. They are available to almost every country in the world today as a domestic resource. Fossil fuels are available within almost every country on our planet in some form. The only region that sees voids in fossil fuel production are in central Africa and this is likely due to turbulent political activities which occur in the region. On the 6 primary continents, there are coal, natural gas, and oil reserves that will provide several generations with the power they need. As a domestic resource, fossil fuels can also be exported to other nations as a revenue generation tool. 3. Fossil fuels provide a low cost-per-unit for the energy outputs that are available. 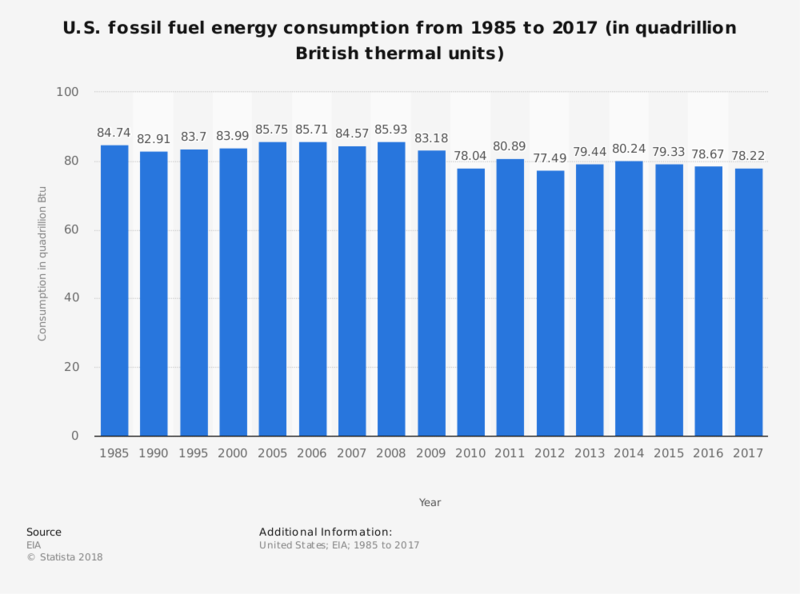 In the United States, the average cost of all fossil fuels for electricity generation was $2.47 for every 1 million BTUs (British Thermal Units). When all sectors are evaluated, the price of electricity to end-users was $0.10. Although the price of petroleum spiked between 2009-2015, reaching a high of $12.50 per 1 million BTUs, the overall cost of fossil fuel energy has remained relatively stable. Pricing spiked in 2008, nearly doubling in cost, but since then, the price has hovered around the $2.50 per unit mark for more than a decade. 4. Many of the products we use rely heavily on fossil fuels. Most of the fossil fuel products that we use every day come out of the energy sector. That means we use them for fuel, heating oil, gasoline, and numerous consumer goods. Everything from ink to crayons to deodorant comes from the processing of fossil fuels. Out of the average 42-gallon barrel of oil that is consumed every day, more than 45% of it will be used in automotive gasoline. About 30% is used for either heating oil or diesel fuel. Then about 20% is used for personal products. 5. They provide a high energy output relative to the amount of fuel consumed. Fossil fuels provide the highest energy outputs relative to the amount of fuel they consume, with the exception of nuclear power. With complete combustion, about 8 kWh of heat is generated from 1g of coal. We can achieve about 12 kWh from 1kg of oil. This can be up to 10 times the amount of energy that can be produced from renewable resources and provides scalability to meet changes in demand. Nuclear energy is far more productive, with 24 million kWh produced from just 1kg of uranium-235. Even nuclear energy would not be possible without the products that are produced from fossil fuel processing and industries, however, so even then, this resource produces a high energy output when compared to the amount we consume every day. 6. Fossil fuels are an economic foundation for many society. In Russia, a majority of the hard currency that is generated for the economy every year comes from oil and natural gas exports. In 2012, fossil fuels on their own accounted for 16% of the country’s GDP. The energy sector was also responsible for 52% of the overall federal budget and composed 70% of all exports. The World Bank has estimated the total value of Russia’s natural resources to be around $75 trillion. When a country has access to extensive fossil fuel resources, it provides an economic foundation that reaches almost every household. Millions of jobs are created because of fossil fuels. Indirect jobs are created to support direct employment opportunities. 7. It serves as the primary source behind the plastic products we use. Although plastics can be created from biofuels, the majority of plastics that we use every day come from the fossil fuels industry. Up to 91% of the plastics we use are not recycled either, which means we need new plastics every year. In just 70 years, the global plastics industry has created more than 8 billion metric tons of virgin plastics. That means we could have built the Empire State Building 25,000 times using just plastic. About 50% of the plastic that we have produced globally lifetime has happened within the past 15 years. Without fossil fuels, these products and the jobs within the plastics industry would all go away. 8. We are able to achieve processing gains with fossil fuels. This benefit is particularly notable when using a 42-gallon barrel of oil. Once the entire barrel has been processed, we are able to yield over 44 gallons of refined products. Current technologies allow us to achieve a processing gain that is greater than 6% on every barrel of oil that the world produces every day. 9. Fossil fuel processing can be placed almost anywhere. One of the biggest issues facing the renewables sector is the limitations there are on energy generation placement. Only a handful of locations are suitable for geothermal power. Tidal energy can only be collected along the coast. There are only certain locations where offshore and onshore wind can be collected. Fossil fuel processing can occur anywhere, assuming an infrastructure is created to support the transport of raw and finished goods. Every location, once fully installed, is capable of generating a large amount of energy that can be used locally or exported internationally. 1. Fossil fuels emit noxious greenhouse-type gases, such as carbon dioxide, when consumed. Fossil fuels, when combined with industrial processes, are responsible for up to 65% of the global greenhouse gas emissions that occur every year – and that is just the carbon dioxide. Fossil fuel consumption also produces methane, which is 16% of the greenhouse gases that are produced each year. Nitrous oxide is a third greenhouse gas that is produced and is 6% of the total emissions. In comparison, forestry and land use are responsible for about 11% of the carbon dioxide production that is attributed to human activities. 25% of global greenhouse emissions come from electricity and heat production. 21% occur because of industrial practices, while 14% are generated by the transportation sector. 2. Finding new deposits or resources is becoming progressively more difficult. According to British Petroleum, there are currently 1.139 billion tons of coal that are in proven reserves right now. There is also 187 trillion cubic meters of natural gas and more than 1.7 billion barrels of crude oil that are currently available to us. These volumes may be large, but they are also shrinking. With current estimates, we have enough crude oil and natural gas, at current extraction and consumption levels, to last us until the year 2068. Coal will last until the year 2169. Although new reserves are found each year, the estimated years of extraction continues to shrink. In 2005, we had an estimated 57 years of natural gas reserves. In 2010, we had an estimated 55 years. In 2016, we had an estimated 53 years. 3. It is a resource that will eventually disappear, perhaps within our lifetime. We know that fossil fuels are a finite resource. Although dire predictions about running out of these fuels have been made for more than a generation, and quite unsuccessfully, the number of proven resources that are available right now are shrinking as our consumption levels increase. Without new technologies or new energy resources to use, we will be into our reserves or stockpiles in 100 years or less. 4. The use of fossil fuels is often governed through political processes. Fossil fuels are priced through three different market influences. They are traded as a commodity, so pricing can be set on what the anticipated price of the fuels will be in the future. They are also governed by free market principles, so when there is a limited supply of them, the price of the fuels moves upward. They are also governed through political processes, thanks to organizations like OPEC (Organization of the Petroleum Exporting Countries). OPEC can decide to artificially restrict petroleum production levels, which artificially inflates the price of oil because supplies are purposely restricted. 5. It produces products that can be harmful to human health. Fossil fuels are known to create direct health consequences in humans as their particulates, gases, and other byproducts of consumption are created. Lung cancer and asthma are directly linked to the pollution that is created by using fossil fuels. Dust from coal is known to stay within the lungs of miners, making it more difficult for them to breathe over time, even with the use of personal protective equipment. The long-term exposure to certain fossil fuels may also increase other cancer risks. 6. Fossil fuels, when consumed, can damage the environment in numerous ways. One of the most devastating consequences of the transport and use of fossil fuels occurs when a spill happens. Oil spills, especially when they occur at sea, will frequently kill marine mammals. Seals and otters are at a high risk, while whales and dolphins experience severe negative impacts as well. Fossil fuels will contaminate food supplies, which increases the risk. Although the damage is often classified as short-term, the devastation can be so intense that it can cause long-term damage to certain regions as well. 7. Support networks create environmental damage as well. For fossil fuels to be effective, a system of transportation and reserve networks must be built to support the power plant, refinery, or processing center. That means a coal-fired plant requires frequent deliveries of coal. Trains and trucks produce emissions because they also consume fossil fuels to generate power. Even the homes of workers consume fossil fuels and contribute emissions as well. That means every support network enhances the negative effects that fossil fuels have on our planet, especially if those who need the power live a good distance away from the power generation stations. 8. Mining and drilling activities also create environmental damage. To obtain coal, we must be able to mine it. To obtain petroleum and natural gas, we must drill for it. Even shale oil or tar sands oil requires processing and collection activities. Mining may require trees to be cleared and topsoil to be removed. To reach certain wells or seams, entire regions may be blasted away, forever altering the local landscape and natural habitats. Rain can wash disturbed topsoil into streams, polluting local waterways, which hurts marine life. In severe instances, mining and drilling activities are also known to contaminate drinking water supplies. This happens because the heavy metals and minerals found naturally in the ground can no longer be filtered as efficiently as they once were. That means croplands might require irrigation to survive when they once did not. Groundwater supplies may require additional filtration. In total, since 1930, more than 5.9 million acres of natural landscapes, mostly forests, have been lost because of mining and drilling efforts for fossil fuels in the United States. 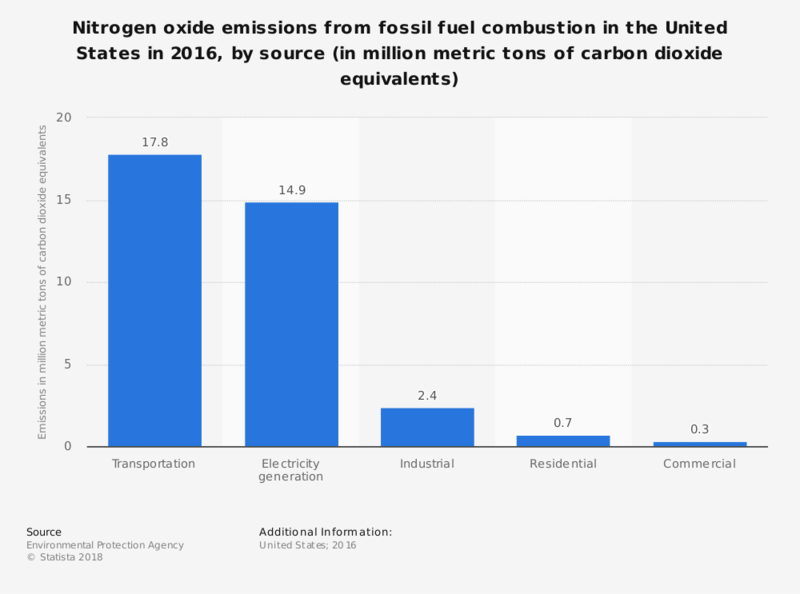 I recommend that you read these 25 amazing fossil fuel consumption statistics that support some of these pros and cons. The biggest advantages and disadvantages of fossil fuels show us how important this resource is to our global society today. They also show us that the time has come for us to begin changing how we think about this resource for future generations. We may never truly run out of fossil fuels, though we may run out of time by consuming them like we do. Through innovation, scientific research, and personal responsibility, we can encourage our planet, and each other, to become healthier over time.